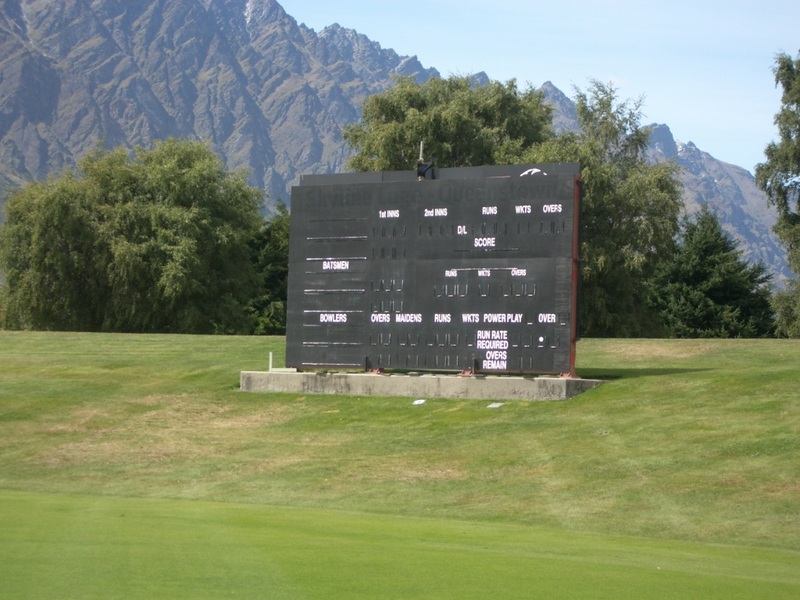 The Queenstown Events Centre must be one of the prettiest cricket grounds in the Southern Hemisphere, and beyond. 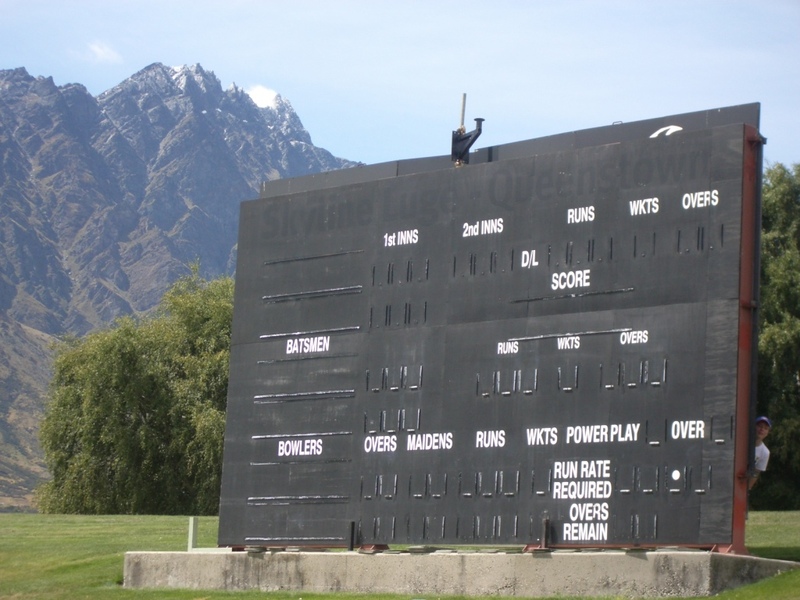 And the mountainous backdrop must be a distraction for batsmen (Never mind moving the sightscreen, what about the mountains? ), while the scoreboard looks like it requires abseiling skills. The ground is currently hosting a 4-day Plunket Shield game between home team SBS Bank Otago Volts and Sky City Northern Knights. The rather picturesque oval has hosted several One Day Internationals. A New Zealand X1 will be playing England there in a 4-day game from 27 February to 2 March. Scoreboard Pressure would love to see photos of this spectacular scoreboard in action. See our contact page for details. 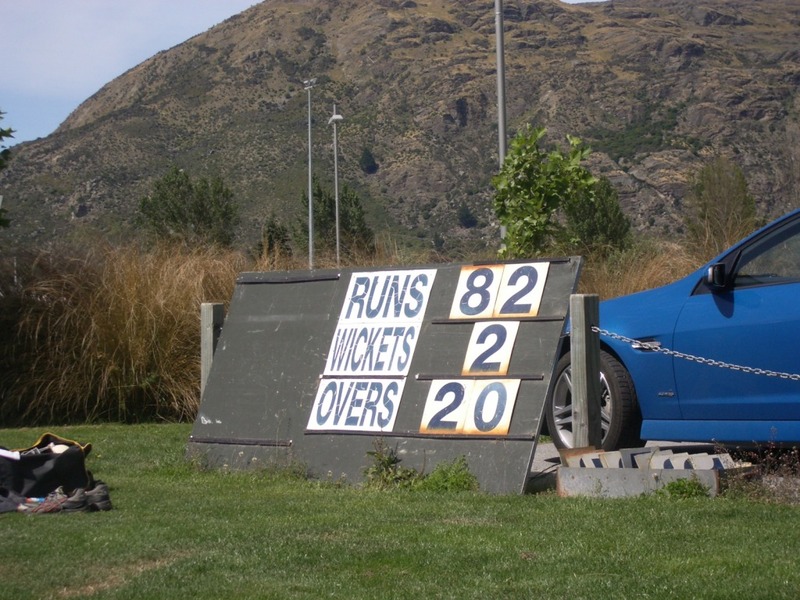 The small scoreboard above was snapped at a neighbouring ground where a game was being played between a local Under 17 team and a school team from Canberra. That looks amazing and that photography is of a professional standard! Not to mention the good looking model in the first image.